Clinging and attachment lead to suffering. 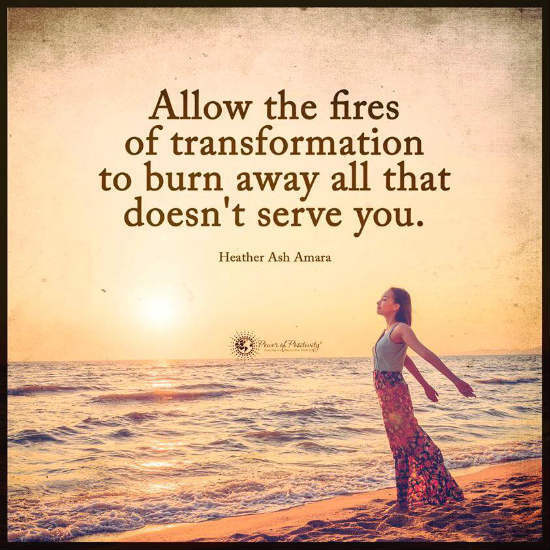 Have you ever longed for for something different only to discover that the smallest of changes set off a cavalcade of transformation that ultimately altered the course of your life? Everyone faces moments when the desire to create change seems daunting. We long for transformation yet seem to remain stuck in patterns of behavior that solidify the very things we have outgrown. Whether changing habitual patterns in regard to eating, addiction, relationship challenges, judgmental thoughts, gossip, reactivity or spending patterns, it’s best to start small. Focus on one thing and approach it mindfully. Don’t allow the ego to derail your momentum with its stories of limitation or difficulty. One conscious change can set a world of difference in motion. The mind will always cling to the known until the hatred of the known outweighs the fear of the unknown; however, you don’t need to reach your personal breaking point in order to create positive change. Give yourself small wins, seek to embrace the new and follow the resulting energy wherever it leads. Love yourself enough to set something expansive in motion.